The dark magic that the great alchemist Sir Isaac Newton inadvertently unleashed with his discovery of philosopher’s mercury has taken a devastating toll on Earth: The destruction of Europe and the advent of eternal winter have aided the mysterious malakim in their apparent quest for the annihilation of the human race. In the American colonies, Benjamin Franklin hones his alchemical skills and prepares the Junto—his secret cabal of scientists, Native American tribesmen, former slaves, and fugitive European intellectuals—for the upcoming battle for humankind’s survival as the army of the Scottish “pretender” king James Stuart invades the continent to reestablish British dominion. 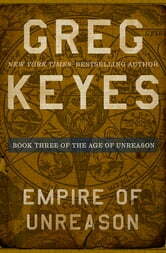 Meanwhile, on the other side of a shockingly diminished world, in the court of the mysteriously vanished Peter the Great, the missing tsar’s chief alchemist, Adrienne de Mornay de Montchevreuil, prepares to depart Russia in search of her lost son, who may well be at the heart of the conspiracy of malevolent angels to eliminate the human scourge. 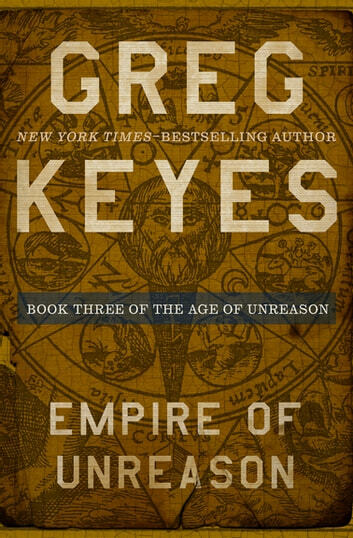 The third volume in author Greg Keyes’s ingenious Age of Unreason alternate history series, Empire of Unreason broadens the story, elevates the action, and reveals secrets within secrets as the surviving inhabitants of this different, endangered world race frantically toward a climactic confrontation.